Who cares about smuggled oil? Petron Corporation, the country’s largest oil company, has alleged that about one out of every three liters of gasoline or diesel sold in the Philippines is smuggled. For the government that translates to P30-40 billion in lost revenues a year, said Petron boss Ramon S. Ang. For the company it means fewer profits because smuggled oil can be sold at extremely low prices and undermine Petron’s market share. But why should ordinary Filipinos, who have been forever abused by Petron and other big oil firms, care? Jeepney, taxi and tricycle drivers, the small fishers and farmers do not mind buying smuggled oil if that’s the only way they can boost their meager income eroded by ever rising fuel costs. They simply can’t empathize with Petron’s predicament of seeing its profits fall to “just P2.3 billion” last year. They can’t appreciate the lost government revenues either since social services are hardly felt anyway. Just ask Kristel Tejada’s parents. If there is one issue that matters to ordinary folks in the allegation of Ang is the huge tax burden imposed by government on a commodity as socially sensitive as oil. The claim of Petron is that smugglers are using the special economic zones to evade paying the 12% value-added tax (VAT) and the excise tax. This allows some retailers to sell cheap oil. How much do government taxes add to the retail price of petroleum products? As of April 2, 2013, the retail price of gasoline in Metro Manila ranges from P48.65 to P54.64 per liter, based on the monitoring of the Department of Energy (DOE). The VAT is about P5.84 to P6.56 per liter (12% of the retail price). 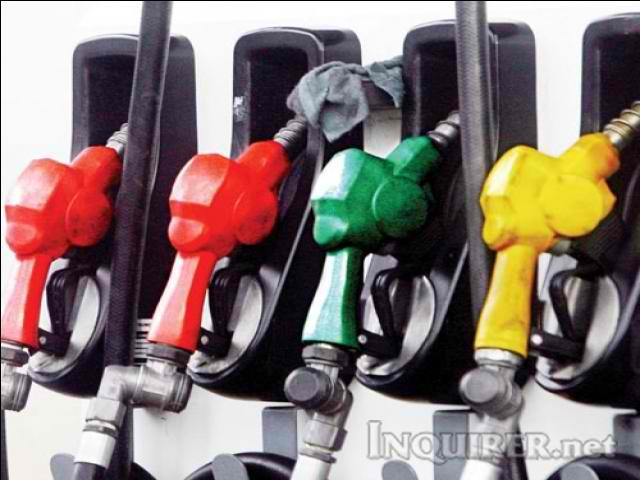 The excise tax, on the other hand, is fixed at P4.35 per liter. Thus, the VAT and the excise tax comprise around 20 to 21 percent of the current retail price of gasoline. Compare it to the percentage of government taxes to the pump price of gasoline in the US which is just about 12% (more details here). The Philippines, in fact, has one of the largest taxes as a percentage of gasoline retail price in the world, together with Hong Kong, Thailand, New Zealand, Cambodia and Singapore (read more here). The same thing is true for diesel, which is has zero excise tax but is also imposed with the 12% VAT. The country’s oil products carry high government taxes despite the elimination of the 3% import duty on crude oil and refined petroleum by the Arroyo administration in 2010. Refusing to scrap the VAT and the Oil Deregulation Law, it was government’s attempt to mitigate the impact of soaring global oil prices. But it was a futile move. Pump prices remained high and continued to increase exorbitantly in a regime of deregulated prices. The basic problem of monopoly control, overpricing and speculation remained, which even the so-called Independent Oil Price Review Committee (IOPRC) acknowledged. And compounding the consumers’ predicament is the oppressive 12% VAT on oil, in which government revenues increase as oil prices skyrocket. Consumers need lower oil prices. Government must find ways to reduce them. One immediately doable step is to scrap the VAT. Government may retain the excise tax or re-impose the 3% tariff (except for the most socially sensitive oil products like diesel, kerosene and LPG) but the VAT should go. Government should also devise tax measures that will make oil firms, especially the biggest and most profitable ones, shoulder more tax burden. As for smuggling, it must be addressed within the framework of deep reforms in the industry and with the aim of dismantling the oil monopoly and curbing price abuses. The problem of rampant smuggling can only be solved if the downstream oil industry is strictly regulated by government. 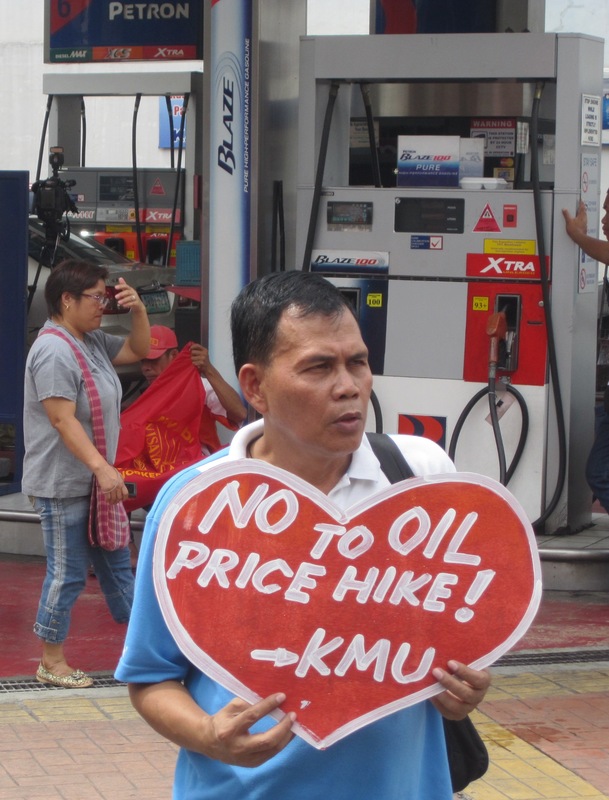 On the heels of the successful nationwide people’s protest against high oil prices last March 15, Malacañang reaffirmed its position not to lift the 12% value-added tax (VAT) on oil. One of the administration officials who immediately articulated the Palace stand was Mar Roxas, secretary of the Department of Transportation and Communications (DOTC). Defending the oil VAT, Roxas said that revenues generated by the controversial tax “are being used to render services to the public”. “It’s easy to say ‘stop collecting taxes’ but this would mean that a particular government service will be affected,” Roxas argued. It’s amazing how fast Roxas changed his mind about the oil VAT. To those who have a short memory, let me refresh your recollection by quoting portions of Roxas’s column Mr. Palengke that the tabloid Abante used to publish. The opinion piece, entitled “$100 kada bariles”, was published by the popular daily in its Jan. 8, 2008 issue. It was Roxas’s reaction to the then escalating prices of oil that for the first time breached the $100-a barrel mark. “Hindi na po normal ang sitwasyon natin ngayon. Alam nating ang langis ay talagang nakakaapekto sa lahat ng aspeto ng pamumuhay: transportasyon, pagkain, kuryente, manufacturing ng mga produkto, at marami pang iba. Kaya sa bawat pagtaas ng presyo ng langis, sumusunod naman ang presyo ng iba pang produkto at serbisyo. Nanganganib talaga ang bulsa ni Juan dela Cruz. Maikli na ang kanyang pisi, lalo pa itong iikli. Naaalala ko, noong kakatapos lang na ipasa ang Expanded Value-Added Tax Law noong 2005, sumipa ang presyo ng krudo mula $36 kada bariles hanggang $56, at natakot tayo noon na sumipa pa ito sa $75 kada bariles. Ngayon, $100 na, ang layo na sa dating mga presyo at kailangan na talaga ang parehong mga agaran at pangmatagalang solusyon sa umaalagwang presyo ng langis. Kailangan na ng political will. Walang lugar para sa mga “token-ism,” o mga pakitang tao. Kung talagang ginugusto ng pamahalaan na makatulong sa ating mga kababayan, isang malinaw at kongkretong hakbang na maisasagawa ay ang agarang pagsuspinde sa EVAT sa langis at mga produktong petrolyo. Agarang ginhawa sa halagang P4 kada litro ng diesel o P60 kada tangke ng LPG ang maidudulot nito. Kung gusto talaga ng pamahalaan na mapaginhawa ang buhay ng ating mga kababayan, sana’y suportahan nila ang ating panukala. Hanggang ngayon, tila ba hindi pa rin nagbabagong-loob ang administrasyon dito. Nakakalungkot, dahil P20-30 bilyon lamang ang mawawala sa pamahalaan sa anim na buwang suspensiyon ng EVAT sa langis, kumpara sa kalakhang P1 trilyong revenues nito. At sabihin nang sa mga social services daw, tulad ng edukasyon at kalusugan napupunta ang pondong ito, nararamdaman ba ninyo ito? Roxas used to think that removing the VAT on oil, even if temporarily as he proposed then, will translate to immediate benefits for the poor. 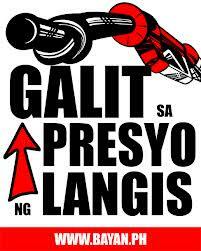 In his 2008 column, he said it’s P4 per liter for diesel and P60 per 11-kilogram (kg) tank for liquefied petroleum gas (LPG). Today, the immediate benefits are even bigger – for diesel, it’s almost P6 per liter and for LPG, as much as P110. “Government believes it should keep on collecting EVAT on oil and be the sole arbiter on how these revenues should be reallocated. 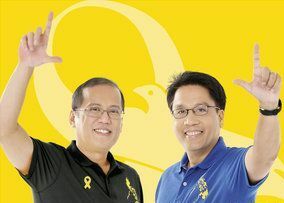 I say, let’s give our people a break… Give the people instantaneous relief from high prices and meager incomes,” said then Senator Roxas in a separate Dec. 20, 2007 press statement. Noon, the people deserve a break, pero hindi na ngayon? Indeed, the points Roxas had raised against the continued collection of VAT amid soaring oil prices remain as valid as ever. His arguments, in fact, could very well answer the Aquino administration’s excuses to justify the VAT on oil today. For instance, while revenues have increased because of the oil VAT, social services continued to be marginalized in terms of government spending. Most of the revenues are being siphoned off by debt servicing. When Roxas was raising the issue of oil VAT in 2008, social services comprised less than 21% of total public expenditures while the total debt burden (interest payments and principal amortization) accounted for more than 34 percent. In 2011, preliminary data show that social services are still marginalized at less than 23% of public expenditures while the debt burden continued to hold the lion’s share with more than 31 percent. As Roxas said, “Pera ni Juan dela Cruz ito, hindi ito pera ng gobyerno”. Why should we allow the Aquino administration to be the sole arbiter on how these resources should be used? Roxas’s point on the tax leakage, meanwhile, remains a compelling argument against the VAT on oil. A 2010 study by the National Economic and Development Authority (NEDA) estimated that individual tax leakage could reach at least P35.69 billion a year from 2011 to 2016. From 2001 to 2005, the individual tax leakage was pegged at P35.74 billion a year, according to a 2006 study by the National Tax Research Commission (NTRC). Despite the hype of Daang Matuwid, the fact remains that bureaucratic corruption, inefficiency, and wastage continue to deprive government of potential revenues. Alas, like the Arroyo administration, the Aquino government is over-relying on the regressive and burdensome VAT instead of finding other ways to raise revenues such as addressing the perennial tax leakage. As mentioned, Roxas is now dismissing the very same arguments he once espoused against the oil VAT. For him, protest actions against the VAT and deregulation – issues he used to consider as legitimate concerns that government must address – are “perwisyo” or nuisance. Of course, only the naïve will be surprised by such turnaround of a traditional politician. Roxas obviously just rode on the very popular anti-VAT sentiment when he was still eyeing the presidency. (He eventually gave way to Aquino and ran for the vice presidency but lost to Makati Mayor Jejomar Binay in the 2010 elections.) But now that he is part of the incumbent administration as a Cabinet official, the oil VAT has suddenly become indispensable. Thus, from the consumer advocate Mr. Palengke, Roxas has now transformed into the VAT apologist Mr. Perwisyo. That’s not President Aquino or one of Malacañang’s mouthpieces speaking, although the tune is very familiar to the one being chorused by administration officials. It was Mrs. Gloria Arroyo in her speech during her State of the Nation Address (SONA) on Jul. 28, 2008. Arroyo was responding to Roxas and many others who were demanding that the oil VAT be removed or reduced and that pump prices, which then were reaching historic highs, be controlled.